PARBAT, Oct 27: With the intention to inform and facilitate the tourists visiting the district with bridge at highest altitude, Parbat has established a tourist information center in Kushma-Gyadi Bridge. “We have been giving information and counseling tourists about where to go and other ways to an average of 50 people a day,” Information Center’s Coordinator Kamana Regmi said. 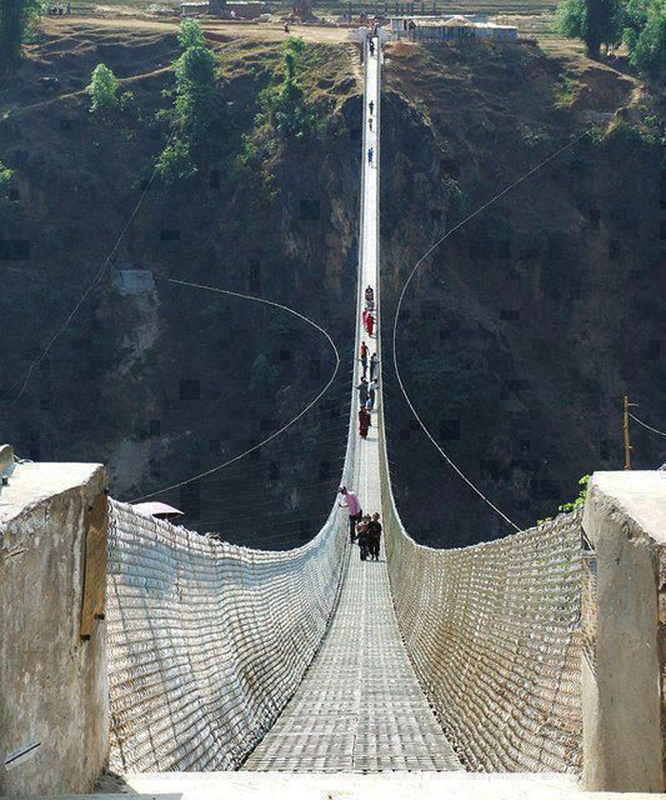 A large number of tourists visit the district to tour the bridge at the highest altitude. Apart from it Parbat also is rich in tourist destinations. The biggest fossil, Asia’s biggest stone, Chisapani Lake, Panchase, Gupteshwor Cave, Alpeshwor Cave are other tourist destinations in the district. “Most of the tourists return from here only touring the bridge. We came up with an idea to establish a information center which can contribute for the development of the tourism sector of the district,” Regmi added.